With due respect, it is to inform you that we are running out of the stationery. We are facing problems due to the lack of many things. (Describe in your own words). 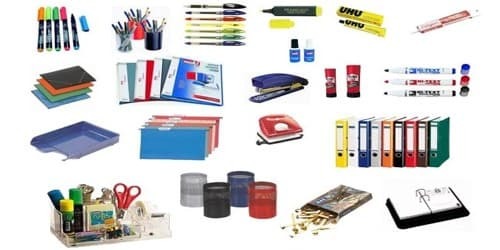 Kindly provide us the following mentioned stationery as soon as possible. (Describe all necessary products name). Kindly process our request on an urgent basis. (Describe your requirements). Thank you. I wrote this letter to request you for some stationary items which are immediately needed. The last time we received the stationary was three months ago and all of the items have been used up till now. (Describe in your own words). Many of the employees are short of the basic stationery and I receive their request on a daily basis for it. I request you to kindly approve my application as soon as possible so that I can place an order of the required amount of items along with some extra for the future because it has gotten really inconvenient for the employees. (Explain the actual cause and situation). I have attached a file with this letter which contains the record of previous stationary items. (Describe your requirements). Furthermore, for any clarification, you may contact me. I would be very grateful to you.